BEGINNERS ARE ALWAYS WELCOME, JUST COME ALONG! DIRECTIONS ARE AT THE FOOT OF THE PAGE. Regular class price £7 / £6 Discount for Unwaged and under 18. Beginners must complete a foundation period of 12 weeks before applying to join the school. "Swansea Wing Chun Society, is only as strong as its members and their committment to the club. We are not interested in the quantity of students, but the quality. Please note that there is a strict NO TIMEWASTERS policy at the club. If your attitude is inappropriate, attendance poor or you show a lack of respect for your fellow student or the school, you will be asked to account for yourself. A lack of improvement in attitude or focus will result in dismissal. Im afraid that I do not suffer fools gladly, and my view is that that either you want to learn the art or you don't. Simple. We will support you in your journey in any way we can, but if youre just attending for the T-shirt or to add something interesting to your Facebook page, then our school will not be the one for you. " Please wear tracksuit bottoms, trainers and your club shirt wherever possible. No jeans and shoes. Payment is per session, there is no 'train now, pay later' option. Maintain good hygeine at all times, arriving at class clean and with short nails. Poor hygeine is not tolerated. No bullying, bad attitude or any other unwanted behaviours. Be respectful to other schools and other martial arts. 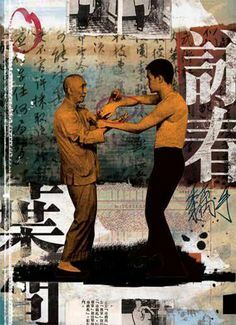 No one school or teacher has a monopoly over the art of Wing Chun. All martial arts are of equal value, and politics will not be tolerated. Lack of attendance or poor attitude can result dismissal. The school requires that you demonstrate the correct martial ethics and manners. Please train as instructed by your teacher. This is what we teach and you are expected to respect the advice and guidance of your instructor. Questioning is positively welcomed, but disrespect is not. Any questions you have can be discussed with your Sifu or Club Instructor in private either before or after class. YOUR ATTENTION AND RESPECT OF THESE RULES IS WELCOMED BY ALL. THANK YOU.